In a large saucepan, soften the fennel, onion, leek, and garlic in the oil. Season with salt and pepper. Add the pastis and reduce until almost dry. Add the potatoes, tomatoes, and broth. Bring to a boil. Cover and simmer gently for about 15 minutes. 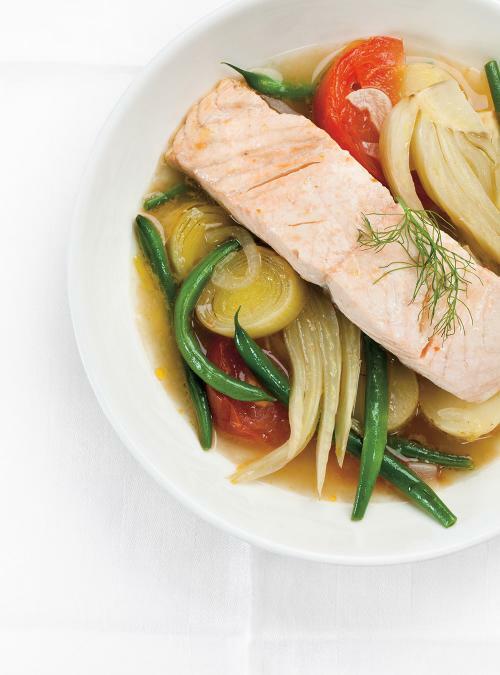 Add the beans and top with the salmon steaks. Cover and cook for about 10 minutes or until the beans are tender and the salmon reaches the desired doneness. Adjust the seasoning. 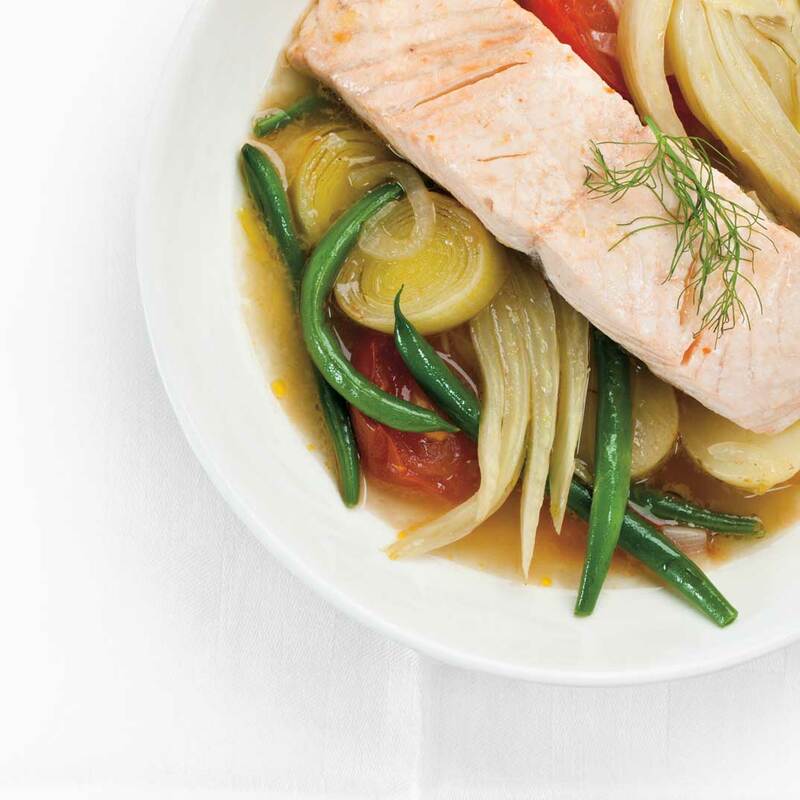 At the end of cooking, you can sprinkle the salmon with fennel leaves or fresh herbs, to taste.